Moody Air Force Base is located in South Georgia, just 30 miles north of the Florida border. The base lies 10 miles northeast of the city of Valdosta on Georgia highway 125. The community widely supports and respects the men and women from the 23 Wing. 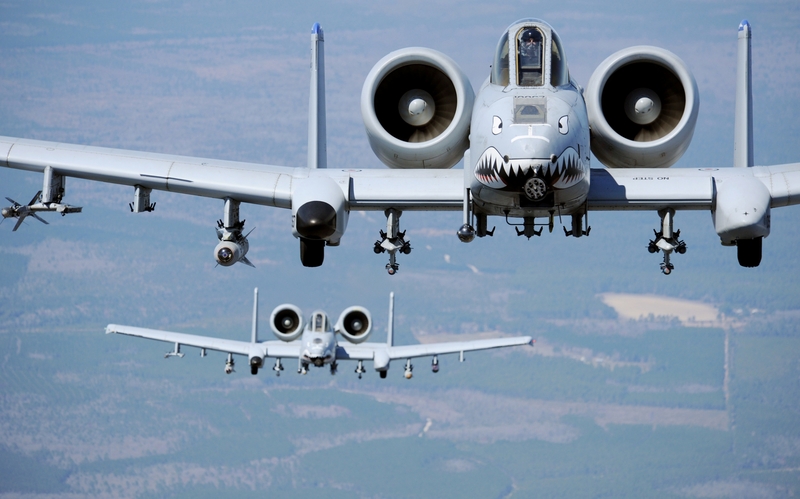 The wing organizes, trains and employs combat-ready A-10C, HC-130, HH-60G, pararescuemen, force protection assets and support personnel. The wing executes worldwide close air support, force protection and rescue forces to include combat search and rescue and personnel recovery in support of humanitarian interests, United States national security and worldwide contingency operations. Moody also is home to six tenant units including the 93 Air Ground Operations Wing.The base operator's phone number is 229-257-4211, or DSN 312-460-4211. The base had its beginning in 1940, when a group of concerned Valdosta and Lowndes County citizens began searching for a way to assist the expanding defense program. Careful investigation showed that the development of an air corp training base would be the best way to help the program. On May 14, 1941, the War Department was granted exclusive use of 9,300 acres of land by the Agriculture Department. Moody Air Force Base was named in memory of Major George Putnam Moody, an Air Force pioneer killed in May 1941, while serving with the Beech Aircraft Company in Wichita, Kansas. At the time of his death, Major Moody was working on the inspection board for the AT-10 transitional trainers that were later sent to Moody AFB. The Major Command at Moody is the Air Combat Command (ACC). 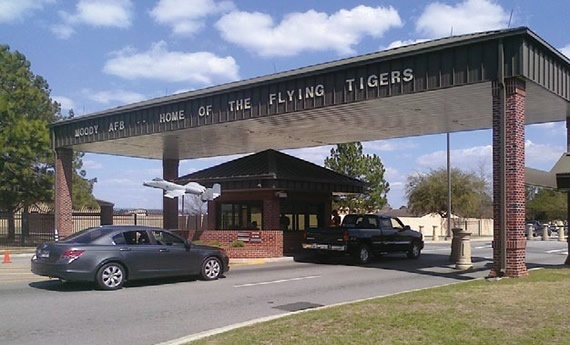 The 23rd Wing is the home of the world famous "Flying Tigers", Combat Search and Rescue, and Security Forces warriors. The 23rd Wing consists of "first in" combat search and rescue, close air support, forward air control, interdiction and force protection Airmen who conduct worldwide operations in support of US national security interests and the Global War on Terror. Additionally, under the wing's command is the 563rd Rescue Group at Davis-Monthan AFB with an operating location at Nellis AFB. Population impact on the local community is as follows: 9394 military and family; 3,000 civilians and family; 15,000 retirees and family; for a total of 27,394. This number is even more significant when compared to the Valdosta population of 48,000 and Lowndes County with a population of 101,000. If you plan to travel by bus or air, you should contact your sponsor or gaining unit. There is no public transportation system in Valdosta. If you are traveling by air please make arrangements with your sponsor to meet you at the Valdosta airport. 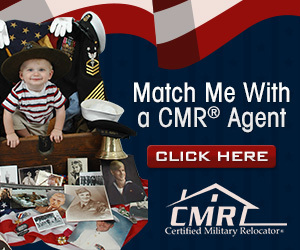 If you arrive and have not made arrangements for someone to meet you, call the Moody Command Post at 229-257-3501 and ask that they connect you to your first sergeant. Exit the airport parking lot and turn left onto Georgia (GA) Hwy 31 (north) also known as the Madison Hwy. Take a left at the second stop light onto Ashley Street. Follow Ashley St. north through downtown Valdosta to GA Hwy 125 (Bemiss Road). The extreme right lane of Ashley St. will bear right onto Bemiss. From that point it is nine miles to the base. If you are driving south on I-75, take exit 29 to GA Hwy 122. Travel east on GA Hwy 122 through Hahira, GA, toward Lakeland, GA. Drive approximately 11 miles to a stop light, turn right (south) onto GA Hwy 125 (Bemiss Road) and travel 3 miles to Moody AFB. If you are driving north on I-75, take exit 16 to U.S. Highway 84. Travel east on Highway 84 (Hill Ave) to downtown Valdosta. Turn left (north) on GA Hwy 7 (Ashley Street). Follow Ashley St. north to GA Hwy 125 (Bemiss Road). The extreme right lane of Ashley St. will bear off to GA 125 (Bemiss Road). From this point it is nine miles to the base. No listings found for Moody Air Force Base.